Some things cannot be simplified. Nobody knows this better than Raymond Tham, who trained as a pastry chef in France. The head chef and co-founder of Beta KL restaurant spent years studying the painfully precise art of pastry-making — there’s no cutting corners and no simple way out. With this training, he brings that strict precision into his cooking at Beta KL. You know what else cannot be simplified? The Chivas Regal 18 whisky. Blended with 85 multiple flavours in one bottle, the Chivas Regal 18 whisky was most certainly not born out of sheer simplicity. The complex spirit is velvety in texture with hints of dark chocolate and multi-layered aromas of dried fruit and buttery toffee. To complement this multi-faceted blended whisky, Tham reached back into the recesses of his memories to recreate a dish that was once dear to him. As a child, the chef remembers his grandmother making yong tau foo, a Hakka dish that consists primarily of tofu filled with ground meat. He gives his own modern spin to it, opting to use a prawn roulade instead of ground mackerel. Using a nose-to-tail concept, he utilises every part of the prawn — the shells were emulsified and turned into an aioli, and the prawn head was deep fried and made part of the dish. 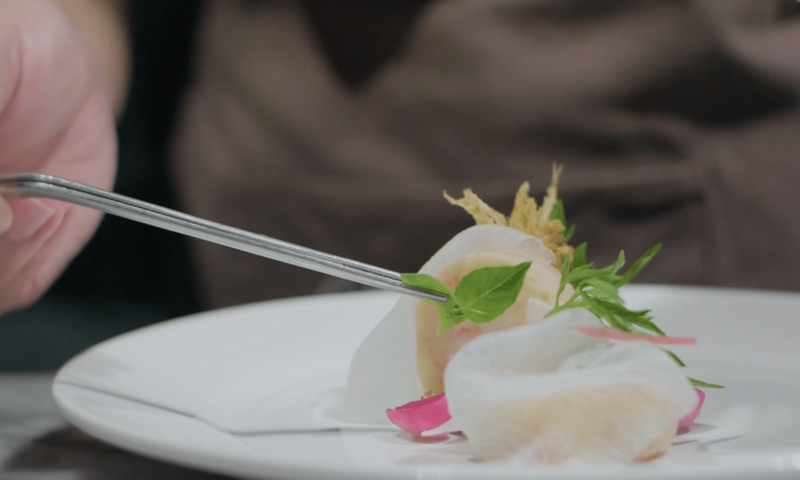 Watch the video below to see how Tham recreates the yong tau foo to pair beautifully with the Chivas Regal 18. Are you ready to have your own taste with the Chivas Regal 18 whisky? Get it here. Special thanks to Beta KL.